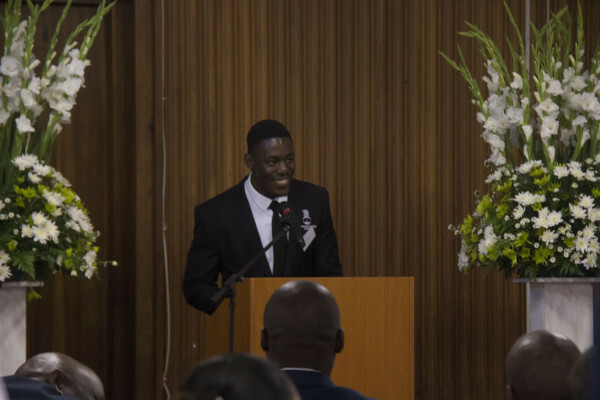 The Wits EOH residence celebrated it’s 50th anniversary. 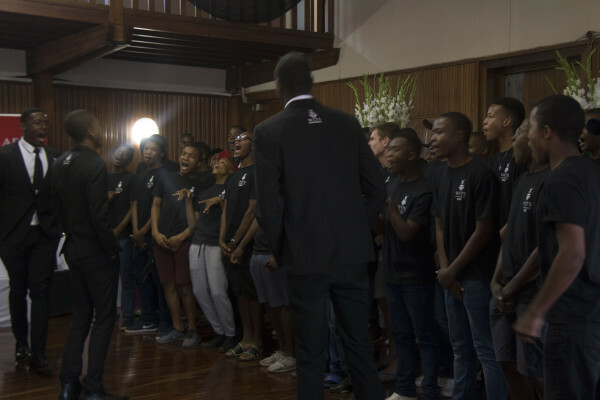 The Wits Ernest Oppenheimer (EOH) men’s residence commemorated its golden jubilee on Saturday April 22 by bringing together old and new ‘Ernest men’ at the residence in a celebration of the residence’s achievements throughout the year. The event which was held in partnership with ABSA was attended by some past house committee chairpersons including Hollard CEO, Nic Kholerand and CEO of Lamo Solar, Tshibvumo Sikhwivhilu. Guests were treated to a tour of the residence by Assisstant, Mr Nazime Randera and music by the EOH choir prior to the official proceedings. The Dean of Students, Dr Puleng Lenka-Bula, the Director of the Alumni Office, Peter Maher and the Director of Campus, Housing and Residence Life, Rob Sherman were among the staff representatives at the event. In succession, past chairpersons reminisced with often humorous personal anecdotes about their time at the residence, the bonds that had been formed during their time at the residence. David Hodgson, the 1969 and second ever chairperson, was the first of them to speak and noted some of the changes and things that hadn’t changed at the residence since he was a member in 1967. “I started here in January 1967 which was more than 50 years ago. I was looking on the board at pictures of the res in 1967 and it looked nothing like it does today,” he said. Kholer, the 1990 chairperson, reflected on the work that went into transforming the house committee into a racially inclusive following difficult discussions. “We were negotiating at EOH for the first combined house committee because at that time we had completely different structures including student societies. The two bodies barely communicated and when they did, it was confrontational. I spent much of my second year in 1990 negotiating for our first combined house committee and I’m proud to say that we had our first combined house committee in 1991,” he said. The current EOH chairperson, Tafadzwa Kufazvinei was the final chairperson to speak and he expressed his gratitude towards his predecessors. “Today I find myself in a very special position. I cannot begin to express my privilege of being in the presence of giants. To this day, EOH continues to reap the benefits of your tasks. Thank you for your efforts, ” he said. Current EOH house committee chairperson, Tufadzwa Kufazvinei. The guests were also treated to a performance by the first years and house committee as well as a passionate closing performance spoken word poetry . The residence will be hosting further events to commemorate the anniversary.